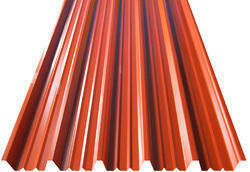 With high prominence in this domain we have come up with Galvanized False Ceiling Frame Material. These are manufactured using high grade raw material that are procured from some of the most reliable vendors in this industry. Moreover, these are tested on various parameters by our quality analyzers to ensure their adherence to set industry standards and quality norms. Clients can avail these form us in different sizes, dimensions and specifications as per their requirements. 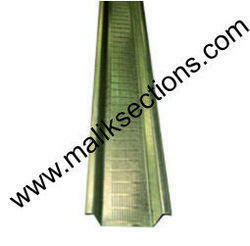 We have established ourselves a renowned manufacturer and supplier of GI Intermediate Sections. Strictly inspected on various parameters these products are manufactured in compliance with the set industry standards and quality norms. We provide customization for the products as per the specifications of our clients for their maximum satisfaction. Clients can avail these from us in different sizes and thickness as per their requirements. We are a known firm involved in manufacturing and supplying Galvanized False Ceiling Sections. These are manufactured using premium quality raw material that are procured from authentic vendors in this market. Further, we provide customization for the product as per the specifications of our clients. Furthermore, we accept bulk orders for the product and ensure their delivery within the stipulated time frame at the clients preferred destination. As an ace manufacturer, supplier, wholesaler, distributor and trader ofRoofing Sheet, we have marked our name very strongly in the market. These products from our end come in many shapes and sizes, in both class B and class A rated fire codes. These are made available for public venues, such as hospitals, schools and churches, should be cut from melamine foam, which is class A fire approved. Industrial, recording, studio and residential treatments will typically target class B rated foams, made from open cell polyurethane foam. 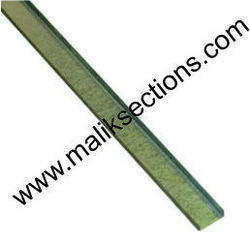 Galvanized Steel Stripsthat we offer in the market is fabricated using high grade steel. Backed by experience, expertise and professionalism, we have cemented our position amidst the renowned Galvanized Steel Sheet Manufacturers, Suppliers and Exporters from India. 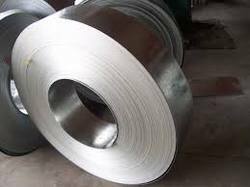 GI Steel Strips provided by us are obtainable at most economical prices. 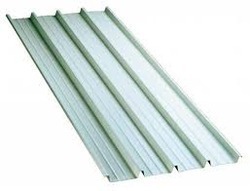 Looking for Galvanized False Ceiling Frame Material ?